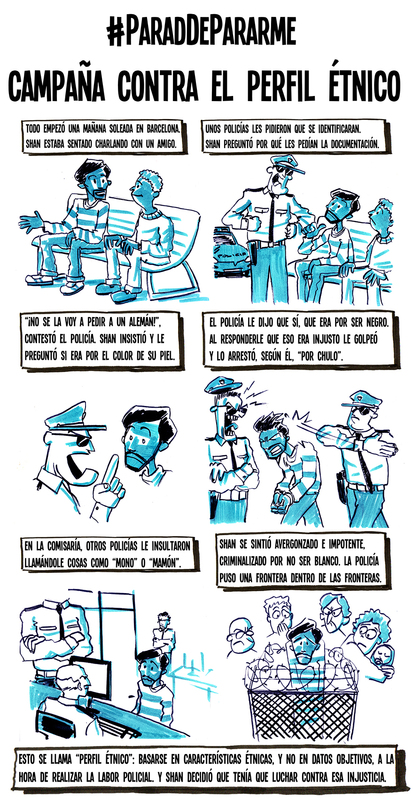 A few days ago our latest job was released: a speed drawing video and a comic strip which were part of a campaign of SOS Racisme Catalunya against ethnic profiling. Wait, you don’t know what ‘ethnic profiling’ means? That’s exactly what this video is about: Shan’s real story will help you to understand what ethnic profiling is and why it’s important to stop it once and for all. 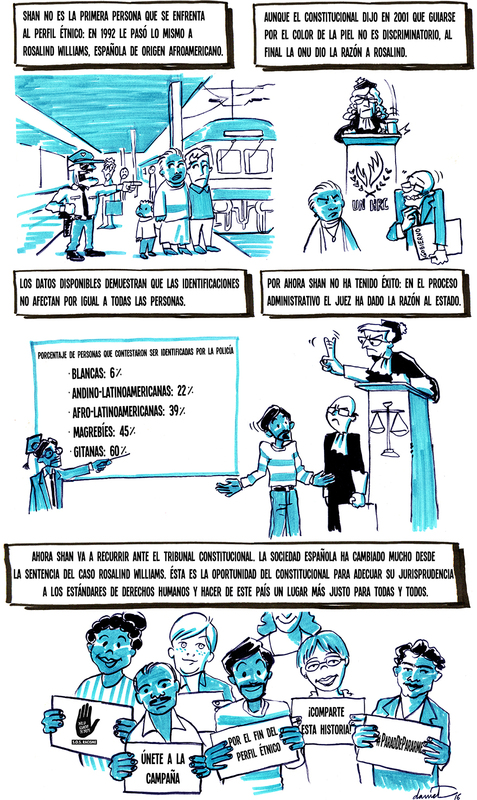 Share if you want to take part in the struggle against discrimination!